April News! Pictures This Weekend! Tuition is Now Due! DANCE RECITAL PICTURES ARE THIS WEEKEND! Colonial Photography will be our professional photographer this year. 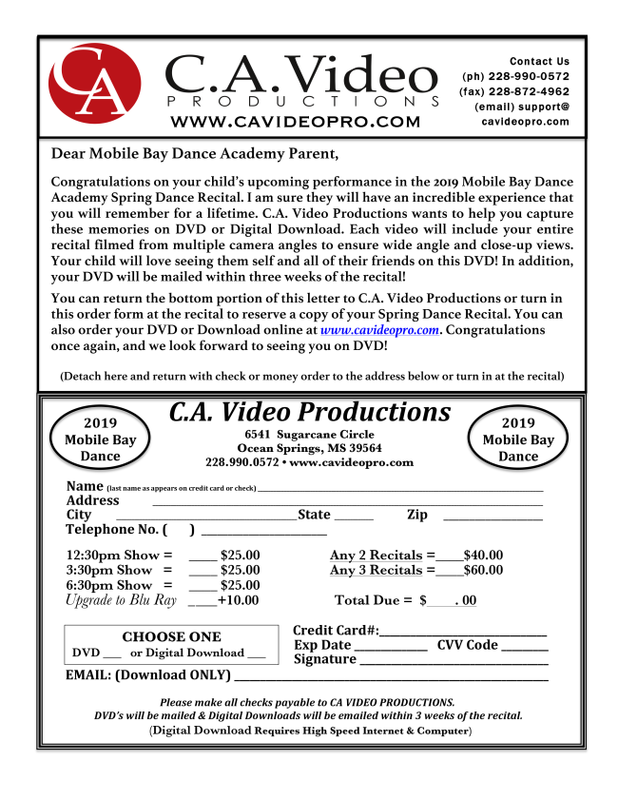 Class pictures and group pictures will be taken in the dancer's recital costume at the dance studio on Saturday, April 6th & Sunday, April 7th. The link to the picture schedule is below. Please make every effort to have your child at pictures. Class pictures and individual pictures will be taken at your scheduled picture time. If you are late for your child's scheduled picture time, your child may miss their class portrait. If you are not planning on having your child's picture made with their class or individual pictures, please be considerate of the other dancers and parents and let us know ahead of time. There is a $20 sitting fee for individual pictures. This fee goes towards the purchase of your package. All students will need their 2019 Recital costume, pink tights and all of their shoes for dance picture weekend. Costumes that have not been sent home will be sent home as soon as they arrive as long as your account it is up to date. This reserves your child's place in the recital. This also helps cover cost of tech crew, props, security, recital medals & music licensing for rehearsal and recital weekend. Tuition is due the 1st class of each month, late after the 10th! If you paid for fall semester, spring semester tuition was due by January 1st. You can pay online each month, or send a check to PO BOX 8141, Mobile, AL 36689. For your convenience we have added semester and yearly payment option as well. Tuition does not include a recital costume. You will not receive a monthly invoice. After the 10th, a $15 late fee per month will be applied. Please make sure you pay on time each month to avoid late fees. Deadline For ALL ADS: Thursday, April 11th! 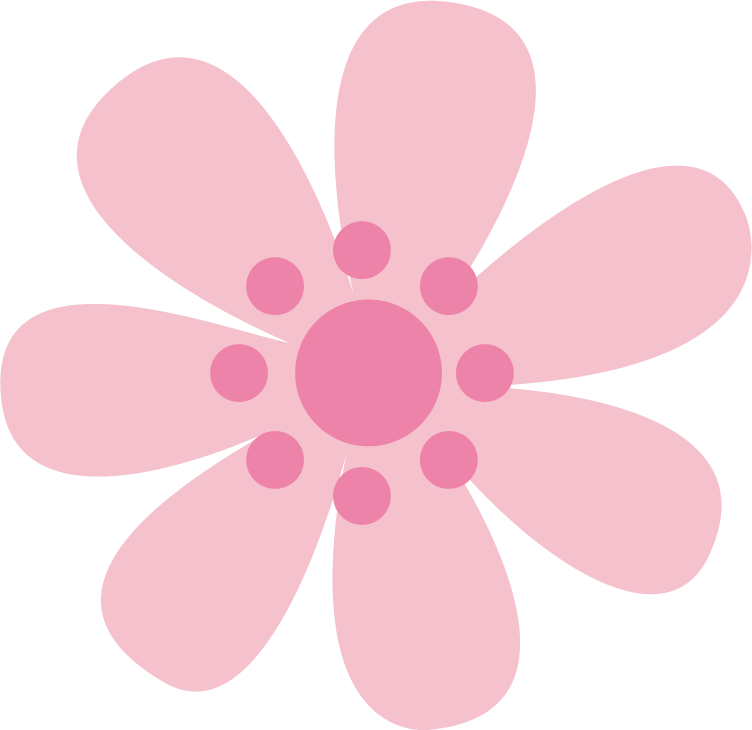 There will be no be dance class es Monday, April 22 - Friday, April 26th. For everyone traveling over the break, have a wonderful trip! Tickets will go on sale Friday, March 1st through TUTUTIX! Here is how you purchase your tickets. Note that you will need a credit or debit card to buy tickets, and that tickets will be sold on a first come, first served basis. So, buy early before they sell out! Dancers do not need a recital ticket. There is not numbered seating, “first come, first serve.” Everyone planning to attend recital will be required to purchase a ticket. Children under the age of two will not need a ticket as long as they will be held on Parents’ laps. You can have them emailed to you, sent to your mobile phone internet browser, and even add it to your Apple Passbook (if you have the latest iPhone software) at no charge! 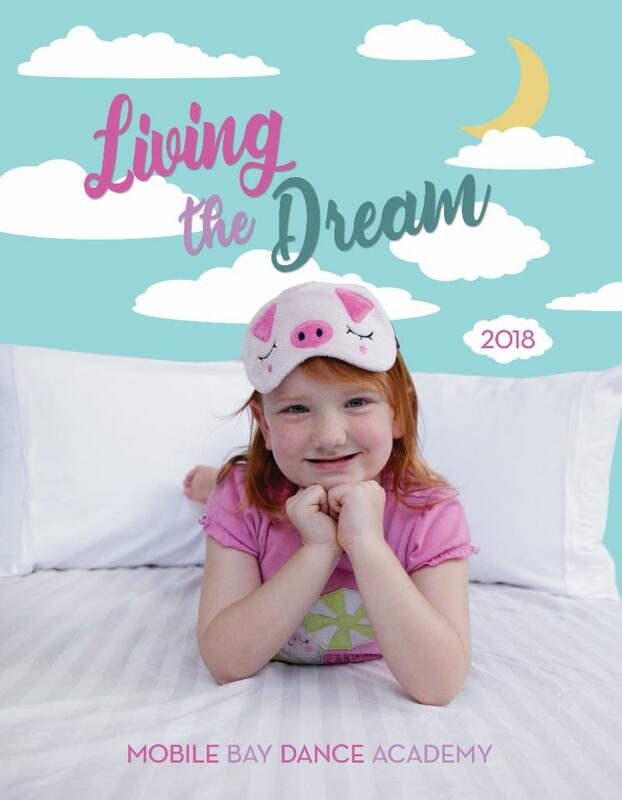 Or, you can choose to have TutuTix mail you foil-embossed keepsake tickets for an additional fee– with your dancer’s name printed directly on the ticket! 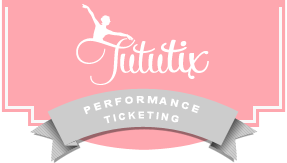 We have used TutuTix for the past 3 years, and we love them! Please make sure you order the tickets for the correct recital. Tickets SOLD OUT last year! Don’t wait until RECITAL DAY! The Recital Logo shirt and shorts order forms are on the link below. The order form and payment are due Thursday, May 2! 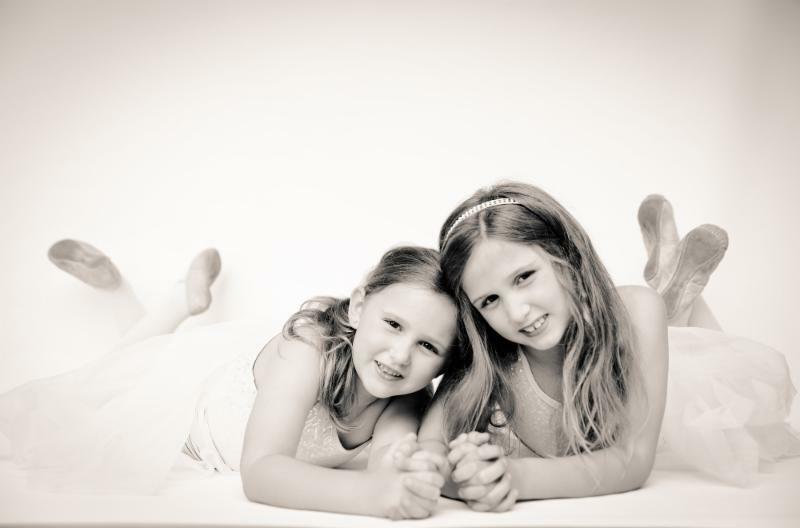 They are a great cover up or recital gift for your child! If you want this for your child, please have it turned in by Thursday, May 2nd. The theme is a surprise every year and we will not tell you what the shirts will look like. It is a surprise! All T-shirt and short orders are to be picked up after your child's rehearsal in the theater lobby. We will have order forms available on picture weekend! It is the responsibility of the parents to be aware of all dance studio activities, such as recitals, opening or closings, and picture days. When public and private schools close due to weather, the studio will also close. Dance classes will resume when school resumes. The studio notices are posted on the website, in our newsletter and in your email. We also post to Facebook! Please notify us if your address, e-mail address, or telephone number has changed. We work hard to make the dance experience organized and fun. Keeping you informed is one of our primary goals. 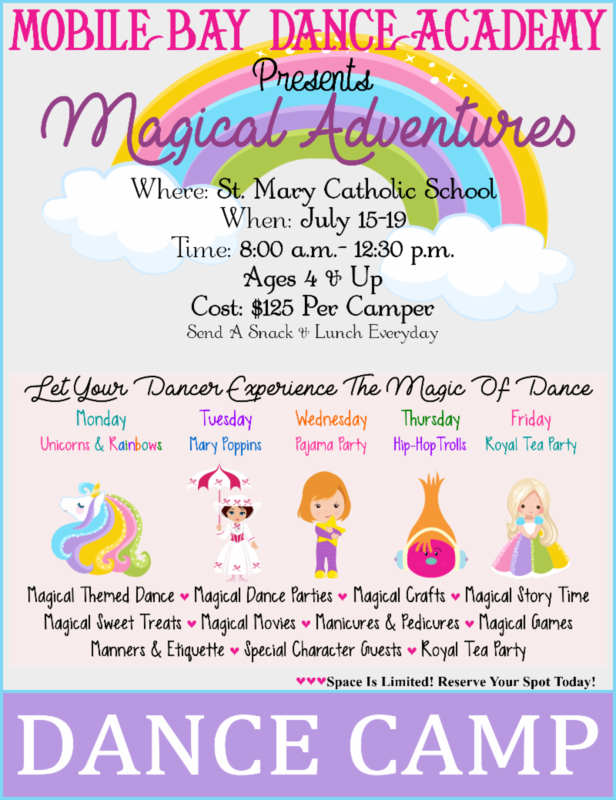 Please read all newsletters and other dance class information. The studios primary method of communication with parents is via e-mail. If you are not receiving any e-mails from the us, then please contact us to ensure your current e-mail address is on file. 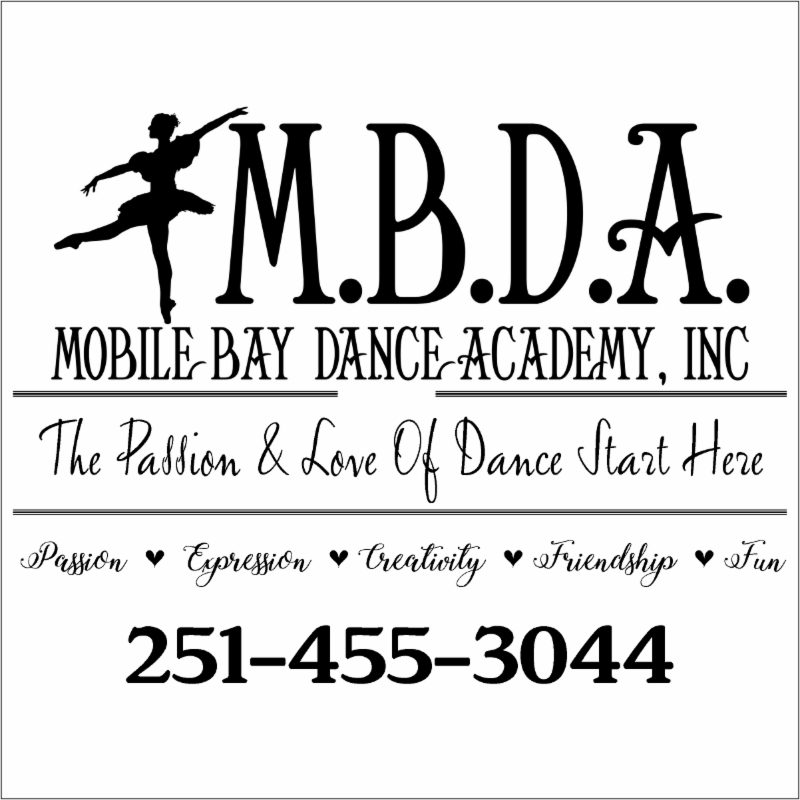 Additionally, please add the studio e-mail address mobilebaydanceacademy@comcast.net to your e-mail contact list so that all communications will display in your e-mail Inbox and not a spam folder. ***Please Note: While all of our student/parent concerns or questions are important to us, we ask that you respect our staff's personal time and not contact them via Text or Facebook messenger. You may email us at any time!